FRIDAY. 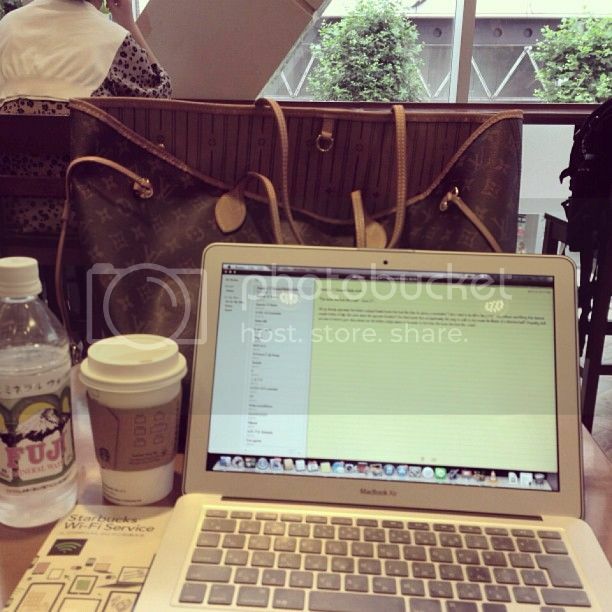 Shamelessly sipping a Cappucino at the Starbucks in Shibuya while writing for work, before some light shopping. Did I mention how much I love telecommuting jobs? Navigating this area of Tokyo with limited Japanese isn`t too troublesome as it`s a fairly international hub.. at least enough that I can feel comfortable finding the right subway line, toilets, etc.. It especially helps when you run into a student wanting to practice their English while at said Starbucks. Now, to finish writing about fashion, then perusing some shops for some. The best part of a job in the digital world? You have the entirety of the real world as your working ground.